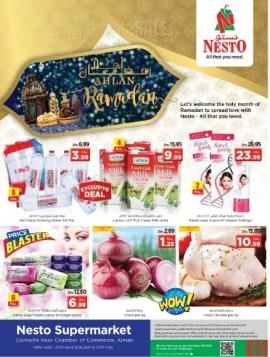 Ahlan Ramadan with NESTO Hypermarket. 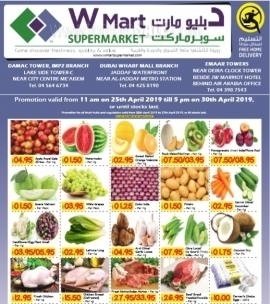 Offer available at Nesto Supermarket, Corniche Near Chamber of Commerce, Ajman. Offer Valid from 25th April until 27th Apri 2019 only. 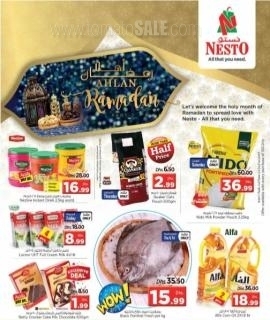 Ahlan Ramadan with NESTO Hypermarket. Offer available at Nesto Center, near GMC Hospital, Nuaimiya, Ajman. Offer Valid from 25th April until 27th Apri 2019 only. 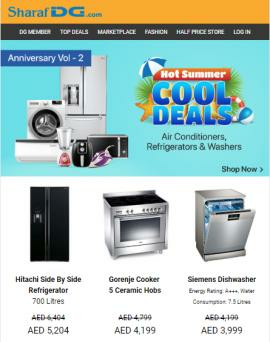 Clik2buy Ramadan Sale - Super Saver. Exciting Offers For You! 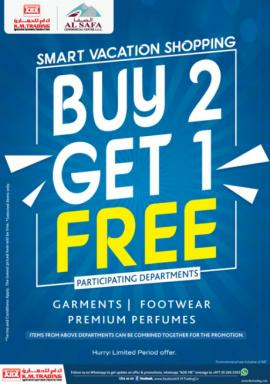 Valid from 22nd April until 30th April 2019. 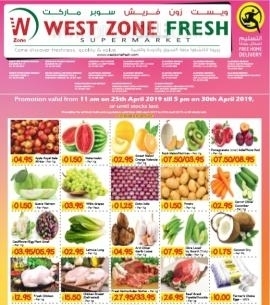 West Zone Fresh Supermarket Month End Deals. Promotion valid from 11 am on 25th April 2019 till 5 pm on 30th April 2019, or until stocks last. 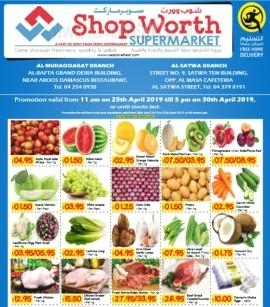 Shop Worth Supermarket - Month End Deals @ AL-MURAQQABAT BRANCH and AL-SATWA BRANCH. Offer valid from 25th to 30th April 2019 till 5 PM or valid until stocks last. 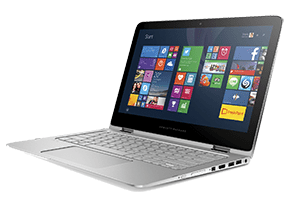 Souq - Ramadan Offer Upto 50% off. Special deals to prepare for the special month. Ikea Ramadan Offer 25-50% off on selected items. From 18th April until 4th May 2019. Air Arabia Free Coach Service Between Dubai & Sharjah. Limited Time Offer Only. 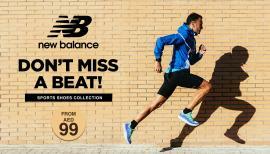 Brands For Less - Get Ramadan Ready Upto 50% off. Great Bargains on your favorite fashion and household. Available online and in-store. Sharaf DG - 14th Anniversary Special Deals - New Catalogue 56 Pages of Awesomeness. Limited Time Offer. Galeries Lafayette - Dubai Home Festival. 30% to 60% Off on selected items. 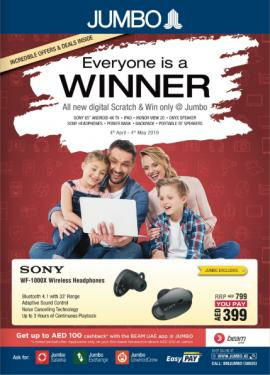 Jumbo Electronics - Every one is a Winner. Get incredible deals and an assured gift when you buy from Jumbo! The promotion is valid from 4th April to 4th May 2019. T&C apply. 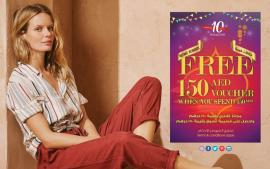 Let’s celebrate together Matalan’s 10th year of Ramadan with FREE 150 AED voucher when you just spend 150 AED! 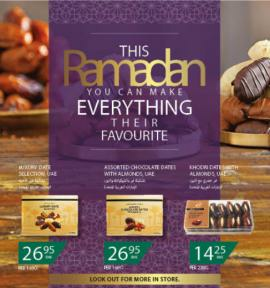 Home Centre - Ramadan Sale. 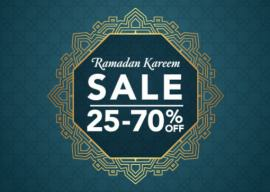 Enjoy 25–70% on our wide range of inspirational and affordable décor ideas that are sure to make your Ramadan memorable! Home Box - Mega Sale. Up to 50% Off on furniture and household items. 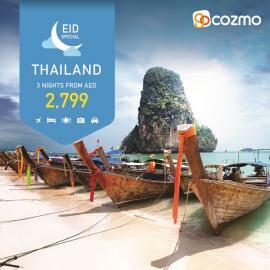 Explore Thailand with Gocozmo EID Special package! 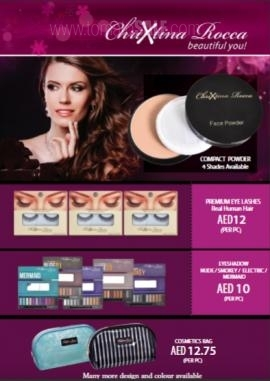 All-inclusive Package @ AED 2799*. 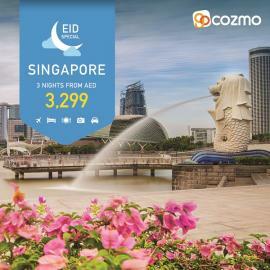 Plan a trip to Singapore with Gocozmo Eid special packages. Explore Singapore with all inclusive Package @ AED 3299*. 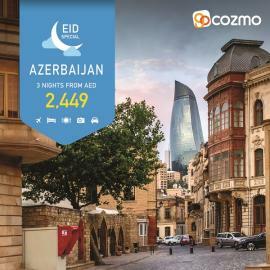 Take your EID holiday break to the beautiful place Baku with 3 Nights and 4 days package starting from AED 2449* only. 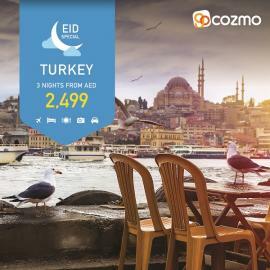 Explore Istanbul with Gocozmo EID Special package! 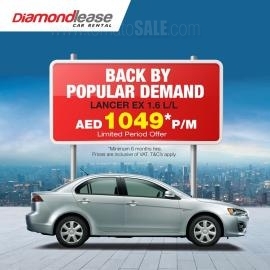 All-inclusive Package @ AED 2499*. 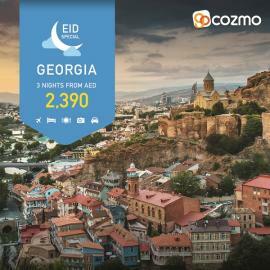 Explore Georgia with Gocozmo EID Special package! All-inclusive Package @ AED 2390*. 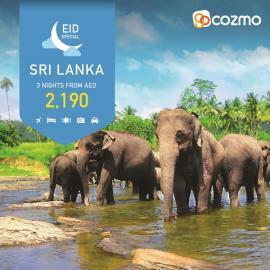 Explore Sri Lanka with Gocozmo EID Special package! All-inclusive Package @ AED 2190*. Shoexpress PART SALE is ON! Up to 75% OFF on footwear and accessories! Further Reductions. Upto 70% Off + New Lines Added. 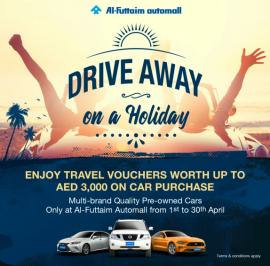 The Automall Drive Away Offer. It's time to take off on your next international holiday or simply head back home during the summer break. 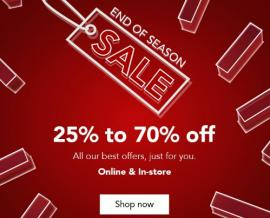 Max - End of Season Sale, 25% to 70% Off. 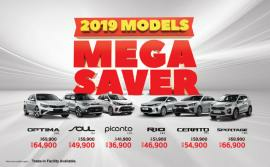 KIA - 2019 MODELS MEGA SAVER. Drive for a year free. 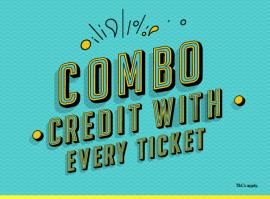 Novo Cinemas - With every movie ticket you purchase we give you a voucher to spend at the concession. Voucher worth AED 5.25 can be redeemed only on select combos. T&C apply. United Furniture - The Big Sale. 30% to 70% Off on Home Furniture & Accessories. Sale 30% to 70% off everything at Pan Emirates. Uranus Travel & Tours - Prague Vienna & Budapest 7 Days AED 6099. Visit: Vienna, Budapest, Brno, Prague. Uranus Travel & Tours - Swiss Paris 7 Days AED 6499. Visit: Zurich, Lucerne, Interlaken, Paris. 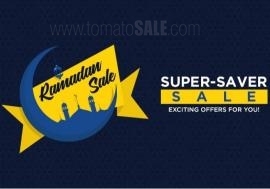 Whether you wish to know about shopping store in Dubai, shopping sale in Dubai or discount sale in Dubai, everything is available at the same platform called TomatoSALE. We unearth the latest and up-to-date offers in Dubai shopping malls and Dubai shopping special offers in order to make easy for you to choose the right thing without wasting too much time. We let you know about the best sale, offers and deals happening in Dubai. We cover everything, be it is a mall, shopping centre or store situated in Dubai. 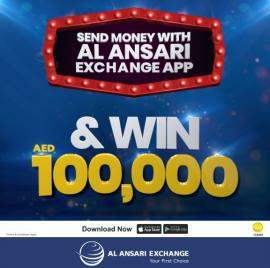 Get all information about Dubai offers, Dubai deals, Dubai sale, Dubai Super Sale, shopping discounts, promotions in Dubai, DSF 2019, Hypermarket offers in Dubai, Supermarket offers in Dubai, clearance sale in Dubai, Dubai Shopping Mall offers, warehouse sale in Dubai, fashion offers in Dubai, furniture sale & offers, footwear & shoes offers, Jewelry offers, Health & Beauty offers, Electronics & Mobile offers in Dubai, GITEX Offers, Dubai Summer Surprises, Dubai super sale, DSS offers, Dubai Mall offers and Dubai Shopping Festival 2019, Dubai shopping festival offers on electronics, Dubai shopping festival offers and promotions, gold offers by browsing through TomatoSALE.